Laminate flooring makes it possible for you to enjoy vibrant colors and stunning finishes at a fraction of the cost of hardwood flooring. This budget-conscious approach to your flooring allows you to create a decor that matches your vision while offering decades of reliable durability. At Area Floors, we offer Portland laminate flooring in an almost endless array of colors and styles. If you're a contractor or designer, our in-house specialists will work directly with your clients in our showroom where they can see and touch a staggering number of laminate flooring samples. We will help them find exactly what they're looking for, to strike the perfect chord between form, function, and affordability. Are you ready to find Portland laminate wood flooring for your home or office? Let's get started. 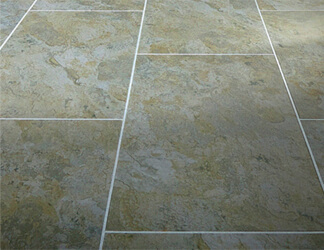 Your flooring is linked to your daily life in a very personal way. Portland wood laminate flooring offers lasting durability, easy installation, and an almost unlimited selection of colors and styles at a fraction of the cost of other flooring options. There are some considerations you should make before choosing laminate flooring over other options like carpet or vinyl. Your lifestyle and aesthetic preferences are both important, as is your overall comfort and the expected lifespan of your flooring. At Area Floors, we can help you find the perfect Portland laminate flooring for your home or office. You can walk into our showroom and enjoy the opportunity to see and feel an incredible amount of in-stock laminate flooring options. 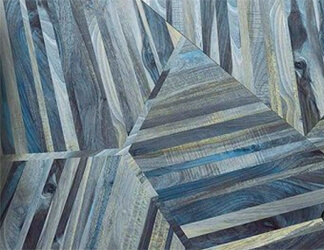 This makes it possible for you to find the perfect flooring to compliment your home or office decor, with valuable guidance from our in-house specialists. There is more to selecting laminate flooring than simply deciding on a color and design. Fully explore various laminate flooring manufacturers to find traits that you desire at a price you can afford. You can also use laminate flooring in creative ways, by mixing and matching different styles to create a unique masterpiece you can call your own. Consider the following information about Portland laminate flooring a primer for your visit to our showroom. Appearance - Modern laminate flooring faithfully recreates the look of other, more expensive flooring options, like hardwood, stone, and tile. Portland wood Laminate flooring offers a consistency in appearance that is simply not possible with wood because of its many imperfections, which is appealing to many people. Installation - Laminate flooring is quick and easy to install, which adds to its inherent affordability from a contractor's perspective. Individual boards easily lock into one another and can be cut to shape with little hassle. Maintenance - There are few flooring surfaces that are easier to clean than laminates. You never have to wax or treat the surface, and spills can quickly be lifted away with a mop or rag. There are also dedicated laminate flooring cleaners on the market that prevent moisture from seeping in between individual boards and causing damage. 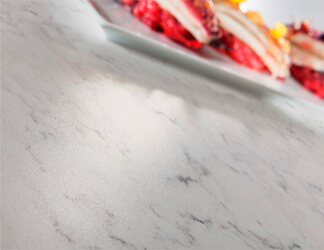 Water Resistance - Laminate is resistant to water and can be used in any room, even bathrooms and kitchens. This doesn't mean that you can allow pools of water to sit on your Portland laminate flooring surfaces, but topical moisture presents no issues if it's installed properly. 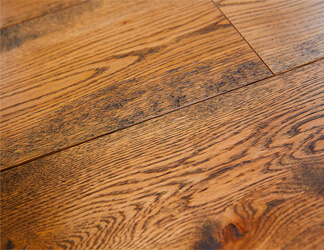 Durability - Sometimes hardwood belies its name because it's susceptible to dents and scratches. Laminate flooring is virtually impervious to dents and scratches and is covered with a wear layer that protects the printed image beneath. Stains are easy to clean, and most manufacturers offer warranties on the wear layer. While laminate flooring cannot be sanded and refinished, it is relatively easy to replace when the task becomes unavoidable. Comfort - Your contractor will likely install an underlayment beneath your laminate flooring that will make it a little "springy" and provide a more comfortable surface for standing. Many manufacturers have developed slip-resistant wear layers that make the surface less slippery and safer for everyday use. Value - The relatively low cost of laminate flooring makes it especially appealing to budget conscious homeowners who don't want to sacrifice appearance. 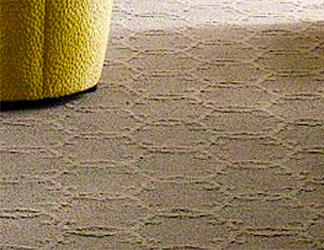 There is a lot more to your flooring than what you can see on its surface. The same is true of Area Floors, where our educated and experienced in-house flooring specialists understand that you're looking for something special to place inside your home or office. 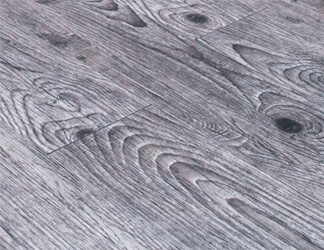 We boast a wide spectrum of laminate flooring products from today's most trusted manufacturers. Our specialists can help you find laminate flooring with the attributes you seek, and even guide you to products that boast warranties that help guarantee the integrity of your investment. Come to our showroom and work hand-in-hand with our design team to find the laminate flooring that turns your design inspirations into a living reality. We proudly work with contractors and designers to help them empower home and business owners to select the finest Portland laminate flooring available today. Come let our experts inspire you to find laminate flooring that perfectly balances the attributes of form, function, and affordability.